Tobias Haller has done sterling work for Covenant geeks, setting out a textual comparison of 3 versions of the Covenant. The earlier Windsor Report draft was significantly different, coming from a legal perspective rather than the model of an international treaty. I believe that Professor Norman Doe was the principle author of both the Windsor draft Covenant and the conflict resolution framework. The first helped give birth to the process, even if the child changed shape as it grew, the second has simply slipped into the wings for a while. If the Covenant is adopted it will need mechanisms by which it will be implemented. Just how does a signatory raise 'questions' about the actions of another, and how does the ACO respond? Even before the Covenant has been adopted there are already signs that answers are being worked out, at least in practice, and these answers will inevitably look remarkably like Doe's earlier proposals. The Covenant is a treaty-like document which will need legal-like mechanisms to be implemented and enforced. The fact that these have been set aside for now is merely a matter of the politics: if too much of the mechanism was visible it would have been harder to get churches to sign up. But the mechanisms remain. For my money removing them from sight and giving them the the ACO to work out away from public view, with no duty to consult on them or make them public, is the worse option for the future of the Communion. 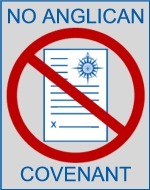 I repeat my thesis: the Covenant simply transfers power to the Archbishop of Canterbury, the General Secretary of the Communion, and their respective staffs. 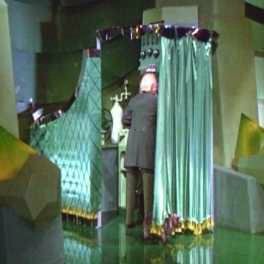 It enables them to take all the crucial detailed decisions of implementation behind closed doors with no effective scrutiny, no checks and balances, and needing no-one else's assent. I think this is wrong in principle. I think it will be wrong in practice. I do not question the motives of those who pursue this line but doing the wrong thing for good reasons is no defence. ... and suppose the Archbishop of Canterbury of the day is anything other than perfect? In fact the whole set up as it now is is highly unstable and I'm not at all sure it's going to last. What happens, for example, if the Archbishop of Canterbury and the General Secretary don't get along?